I bought some pine trees by Bachmann on Amazon. 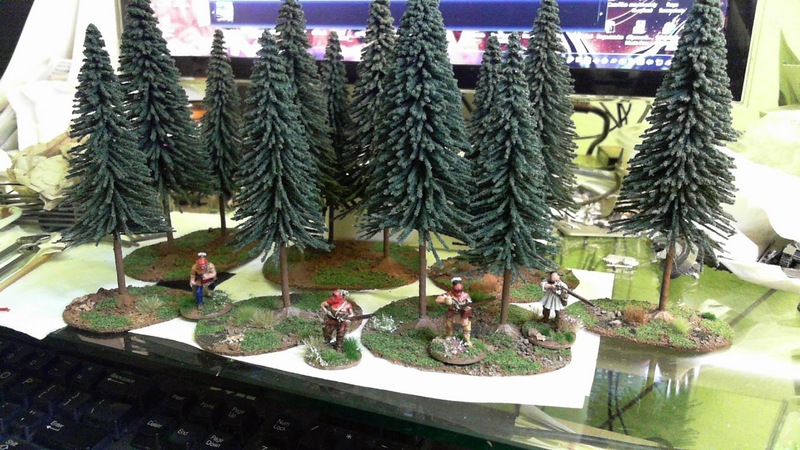 I cut out the bases painted and put ground cover on them. In the picture foreground those are done, the back ones are almost done. Later I will assemble other larger cut outs so these could be placed on top of them if need be.